Security Memetics: Would You Lie For A Candy Bar? 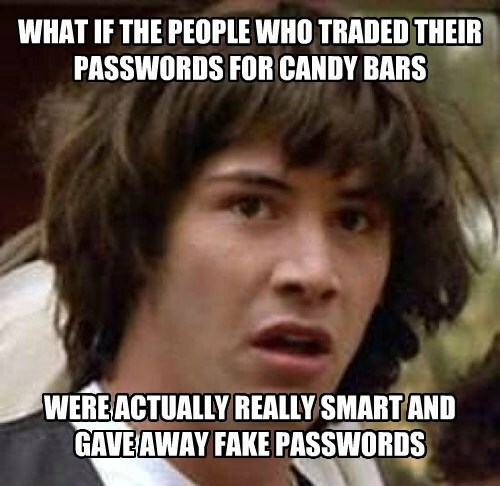 Apparently the studies where people are plied with candy bars to see if they'll give up their passwords have been done over and over again. It occurs to me, though, that the people who supposedly fall for it may be playing a trick of their own on the tricksters running the study by providing false information (something I do online all the time). After all, who tests whether the passwords are actually legit? Of course then there's the small matter of "who would take candy from a stranger?"